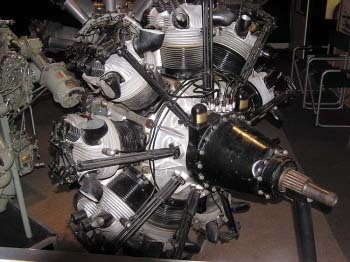 The Bristol Mercury VIII was an air-cooled radial aircraft engine with nine cylinders. It was rated at 840 hp (626 kW). Derived from the Jupiter, it had a bore of 5.75 inches (146mm) and stroke of 6.5 inches (165mm). The relatively short stroke reduced the engine diameter significantly from the Jupiter. Aircraft using this engine included the Blenheim.